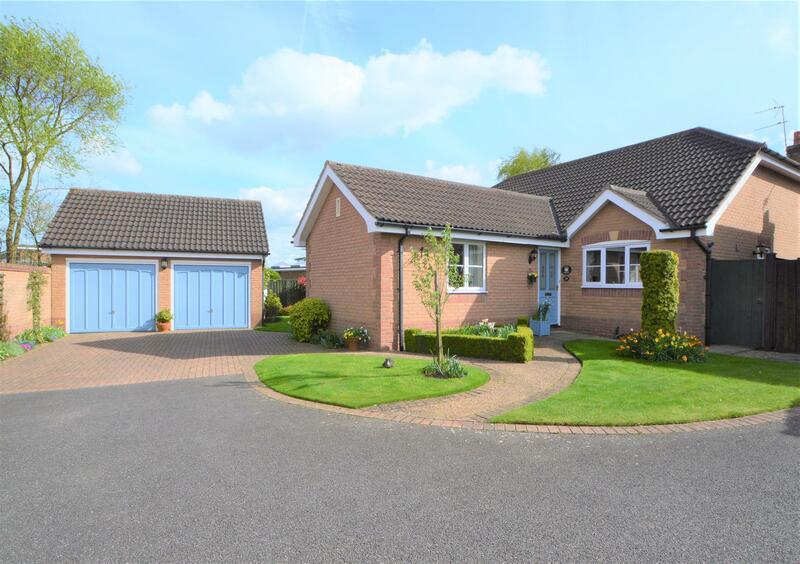 Benjamins is proud to bring to the market this extremely spacious three/four bedroom detached bungalow in the village of Tollerton, built by Gilbert and Hall to a high standard. The property has UPVC double glazing, gas central heating , conservatory, an alarm system and a south facing rear garden. The accommodation briefly comprises: entrance hall, inner hallway, lounge/dining room, breakfast kitchen, three bedrooms including an en suite to the master, family bathroom and a UPVC double glazed conservatory to the rear elevation. There are gardens to the front and a south facing rear garden, block paved driveway and a detached double garage. The bungalow is situated in a cul-de-sac within this sought-after village, which has a small range of local shopping facilities, sought after village school, petrol station, public house and regular transport links to Nottingham City Centre. 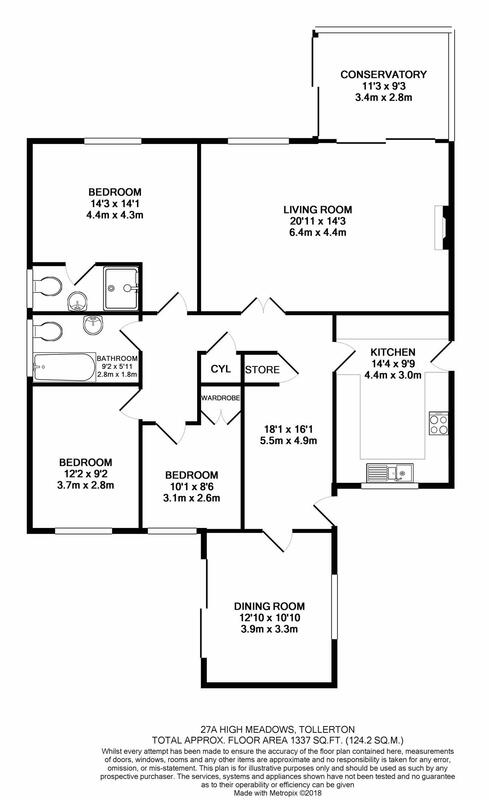 A spacious L shaped reception hallway, thermostat control, radiator, coving to ceiling, glazed door leading to the Lounge, cloaks cupboard with fitted shelving, second radiator and access to loft space. The Conservatory enjoys a southerly aspect with views over the beautifully landscaped and well maintained rear garden. inset stainless steel sink unit with mixer tap over, four ring gas hob with extractor hood over, oven and grill, plenty of cupboards and drawers for storage, plumbing for washing machine, cupboard housing the Ideal classic combination boiler, double glazed door to the side elevation, tiled effect floor, spotlights, double glazed window to the front elevation. To the front of the property is a brick paved driveway providing off road parking, and in turn gives access to the detached double garage. There is a lawned front garden area with path giving access to the front entrance door. There is gated access to both sides of the property leading through to the south facing rear garden which is extremely well maintained and has a patio, lawn and borders containing a variety of plants and shrubs.